Country Junction 3 - Live at DSC. The Country Junction nights are becoming more & more popular at Dartford Social Club, with this being the 3rd show in a matter of months. 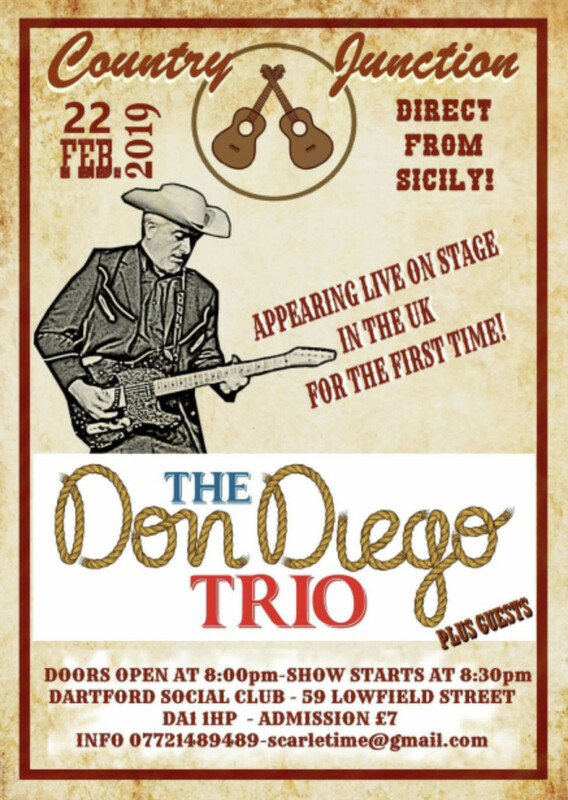 This time Country Junction bring you, performing for the very 1st time in the UK, The Don Diego Trio all the way from Sicily!! There will be guest appearances too!! Admission on the night is £7, but it is expected to be a popular night, so advance tickets are advised. Call 07721 489489 or email scarletime@gmail.com for more details.